Comfort and accommodating fit are ensured by the generous valcro strapping on the heel and top of the foot. Incorporating a low profile rubber sole ensures the shoe an be worn outside as well as in, offering freedom of movement to the wearer. The rubber sole does not affect the wash-ability of the shoe. 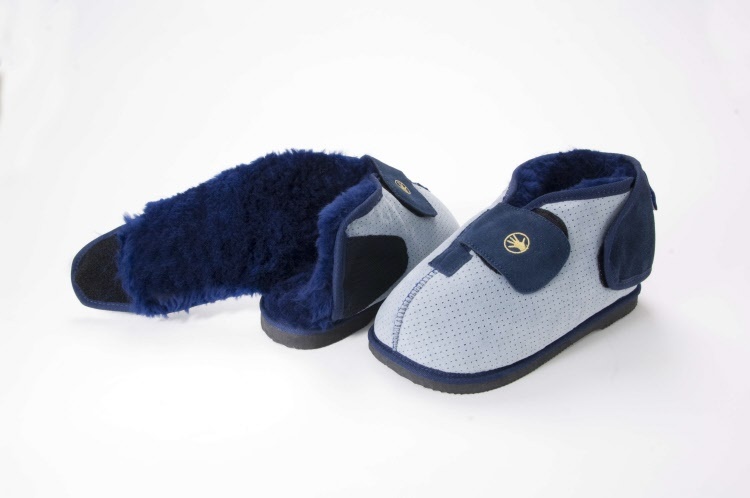 The natural properties of sheepskin ensure that comfort is provided to the foot as it is fully enclosed. The water vapor dissipation qualities of the wool ensure perspiration is effectively wicked away from the skin.